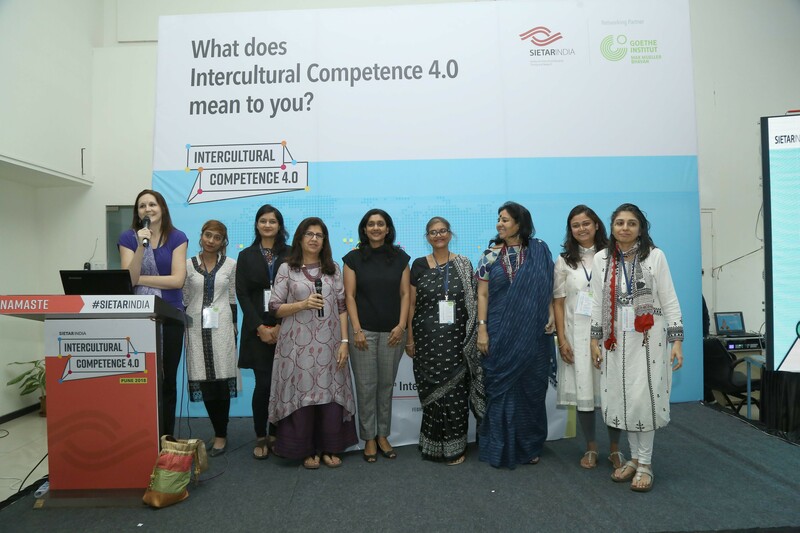 The 6th International Conference by SIETAR India, titled Intercultural Competence 4.0, was held in February 2018 in Pune, India. The much-awaited event, which saw 125 interculturalists of 18 nationalities converge upon this quaint little Indian city, started with drum rolls (literally) at a gala dinner on February 16. The highlight of the evening was Taal, a percussion group that got all the participants drumming in unison to celebrate the occasion. The “intercultural drum circle” was intended to connect participants through rhythm and beat, and if the spirit of the next few days was anything to go by, the intention was well-achieved indeed! Which concepts, tools and skills continue to be valuable for building intercultural competence? How can we enhance their effectiveness, given the changed contexts we work in today and keeping in mind the needs of youth living, studying and working in a post-globalized world? Which fresh new paradigms and perspectives must the intercultural field integrate so as to make our academic/corporate world and societies more culturally intelligent and inclusive? Which best practices have emerged from India and from the rest of the world with regard to multicultural collaboration and leveraging of diversity, especially during periods of transition and polarisation? The first day of the conference ended with a panel discussion moderated by Vaishali Karmakar of the Goethe Institute on the various measures taken by corporations to promote intercultural competence within their organizations. A member of the audience asked the panel what their organizations expected from professionals offering intercultural-communications trainings; in response, one panelist called for flexibility and an understanding of client requirements. Sometimes the budget was limited or the training format needed to be rearranged to fit the clients’ schedules, the panelist said. A trainer needed to be able to readjust the training program accordingly. The second day of the conference began with a keynote address by Dr. Dnyaneshwar M. Mulay, Secretary (Consular, Passport, Visa and Overseas Affairs), Ministry of External Affairs, India. Dr. Mulay spoke about how intercultural competence was nothing but “being human”; he called for more compassion and empathy amongst people, which, he claimed, was true intercultural competence. He pointed out that India was an example of that, with the tremendous diversity that exists within the country. Dr. Mulay also spoke about his ministry’s efforts to bring more compassion into the work they do, including a “consulate at your doorstep” service for the elderly and sick. He called for a change in the current economic model amongst nations—one of a “mindless expansion of wealth”—and for respect and dignity for all. “Bring simplicity to enrich our lives,” Dr. Mulay said. An education panel followed, which addressed how to prepare students to be interculturally competent right from their early years in school and university. This was an especially noteworthy feature of the SIETAR India conference: the inclusion of the youth of India to discuss intercultural competence. To this end, a round-table was held with students of The Orchid School, led by Renu Ramakrishnan of Lehigh University. They presented ideas of inclusion in the form of art, which brings students from different backgrounds together. A coffee-table book including all the initiatives made by the Orchid School towards inclusion, as well as quotes from students on how intercultural interactions had benefitted them, was exhibited in the main gallery of the conference venue, and copies were given away as special prizes. The day continued with another set of diverse break-out sessions. In her session, Professor Phuong Mai Nyugen stressed the fact that human brains are more plastic than we have so far believed and that, through habit, one could change behaviour and responses. She called for a paradigm shift from Static (= values guide behavior) to Dynamic (= behavior changes values), where similarity, not difference between cultures, should be the starting point. She emphasized that “Values change to support your behavior” and that context (not culture) was the software of the mind. Professor Marie-Therese Claes of the Louvain (Belgium) School of Management pointed out the existence of various kinds of cognitive bias and cautioned us against them. The Halo Effect, Exaggerated Emotional Coherence, Framing Bias, Anchoring Bias, Hindsight Bias, the Concord Effect, and Overconfidence Bias all exist in our daily interactions and decision-making processes, and these must be taken into account when considering intercultural competence. While the 2018 event was highlighted by the diversity of participants and topics, what stood out as exceptional from other conferences was the inclusion of young people in brainstorming about the next steps towards intercultural competence. 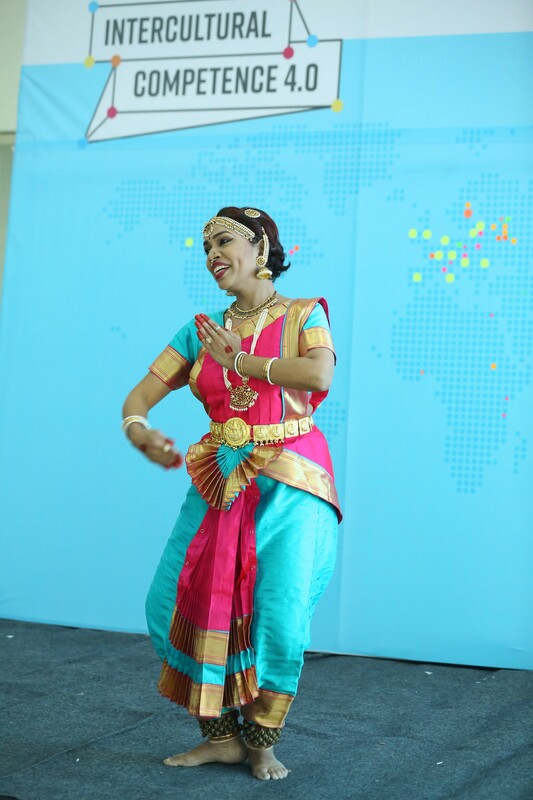 The organizers did well to approach the topic with a long-term vision and to include the future of our society, rather than limit participation to seasoned interculturalists. Divya Susan Varkey is an intercultural communications trainer. She is certified by Hofstede Insights Helsinki/The Netherlands in intercultural communications management and organizational culture. She also has double masters degrees in intercultural communications (Università della Svizzera italiana, Switzerland) and communications (School of Communications, Manipal, India).